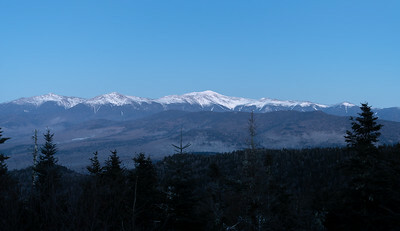 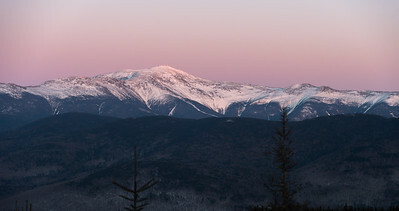 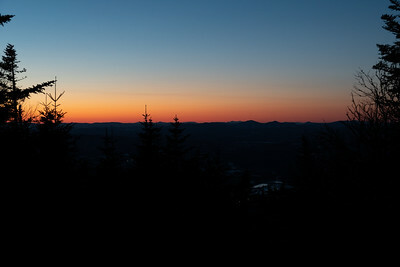 The Presidential Range of the White Mountains in New Hampshire, as seen from Mount Martha at sunset on the night before the spring equinox. 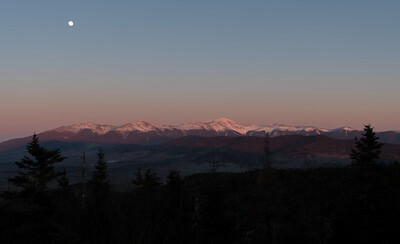 The Presidential Range of the White Mountains, New Hampshire, at sunset, as view from Mount Martha. 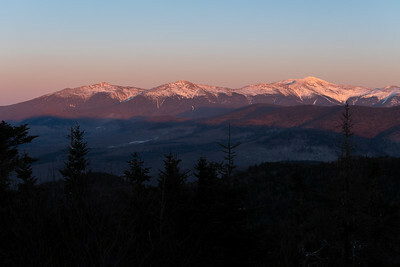 Sunset view (westward) from Mount Martha, NH. 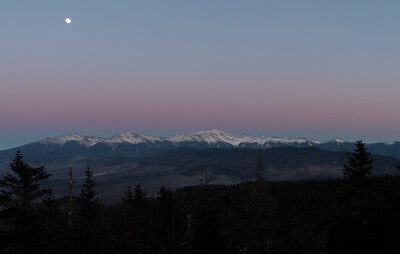 The Presidential Range of the White Mountains, New Hampshire, in the moonlight after sunset, as view from Mount Martha.